Joining the MPDA can really make a difference to people’s lives. Members are welcoming and friendly, and people attending meetings for the first time often regret not having attended earlier. This year the Malta Parkinson’s Disease Association marks 10 years since it began supporting people with Parkinson’s and their families. Association president Veronica Clark traces the long journey from its humble beginnings. Anne Downing founded the Malta Parkinson’s Disease Association (MPDA) shortly after relocating to Malta in 2008. She had already been involved in Parkinson’s organisations for many years in the UK. Her mother, who was diagnosed with Parkinson’s way back in 1974, joined what was then called the Parkinson Disease Society in 1978 – now known as Parkinson’s UK. Parkinson’s is a neurodegerative disorder that affects predominantly dopamine-producing neurons in a specific area of the brain. Symptoms generally develop slowly over years. The cause remains largely un­known. People with Parkinson’s may experience tremour, limb rigidity, gait and balance problems. The first step to living well with Parkinson’s is to understand the disease and its progression. 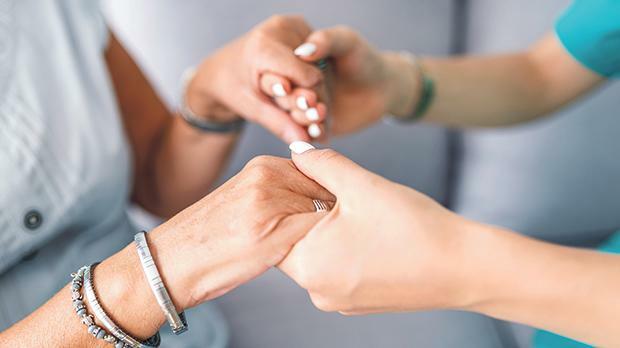 Anne and her husband Victor, who were moving to Malta, found out that no ser­vices or even information in Maltese or English was available for people with Parkinson’s. With the help of consultant geriatrician Peter Ferry, who was extremely supportive and helpful in helping bring the new organisation into being, they managed to form a committee of volunteers and, after getting through all the legal work, the MPDA was inaugurated in 2008. Straight away, the MPDA met with its members every month, sharing and discussing information about Parkinson’s from health professionals who worked closely with people suffering from the disease. After setting up the organisation, the MPDA was able to apply for membership of the European Parkinson’s Disease Association and in turn funded the translation and printing of the Living with Parkinson’s booklet in Maltese. Fundraising activities started to take place, including sponsored swims, walks, street collections and musical concerts. Donations from pharmaceutical companies also helped a great deal. Information days were held in Malta and Gozo, as were house visits when requested. So, from nothing, the MPDA developed into an organisation ready to support people afflic­ted by Parkinson’s as well as their families. Today the MPDA carries on its work under my leadership and a new team of amazing volunteers. I came on board in 2012 when Ms Downing was returning to the UK. Parkinson’s is at the heart of my family, as my mother was diagnosed with Parkinson’s in 2008. In fact, joining the MPDA was the perfect way for me to learn more and do more. Using the limited time its volunteers have to offer, the MPDA does a really good job supporting people with Parkinson’s who reach out for help. The association offers advice and support seven days a week and not only brings the Parkinson’s community together once a month to learn how to manage this complex condition but also organises social events to have fun together by chatting over a cup of tea. It also organises other social and fundraising events, as well as home visits, for those who cannot reach the organisation. The rest of the time is spent raising awareness of this condition with the public and with politicians so that a more supportive environment is created. No one suffering from Parkinson’s should live alone. Joining the MPDA can really make a difference to people’s lives. Members are welcoming and friendly, and people attending meetings for the first time often regret not having attended earlier. Volunteering, on the other hand, brings joy and personal satisfaction. There is no better way to support your loved ones by learning more about Parkinson’s to better understand what kind of support they need. Very often, it’s easy for those suffering to think they are alone in their battle against Parkinson’s. However, through links with Europe and the EPDA, the MPDA shares the work being carried out by people in bigger and smaller countries. There are also many people who are working hard to improve awareness of Parkinson’s with those involved in money decisions, research and healthcare systems. The MPDA is a voluntary organisation relying on donations and fundraising. Those wishing to support the association by donating money can do so via SMS on 5061 8908 (€4.66) or 5061 9296 (€11.65). For more information, call or text 9999 2008, e-mail info@maltaparkinsons.com or follow the association on Facebook for the latest updates.